There is a place in Shabbat tefillot where we should have “Yemima bat Avraham Avinu haKadoshah” in mind together with all who died Al Kidush HaShem. It’s the part called “Av HaRachamim” found before Ashrei of Musaf. Karen Yemima Mosquera Barrera, 22, was buried on the Mountain of Olives in the Holy Land this week. The story of Yemima’s life is becoming known during these days preceding the anniversary of the death of our matriarch Rachel. “She was buried at midnight of Oct. 27th – on the Mount of Olives. The cemetery facing the Old City of Jerusalem – the site famous for being the place where the righteous ones will first be resurrected at the End of Days,” wrote Chaya Lester, co-founder of Shalev Center, spoken word artist, and tour guide in the Holy Land in the Jewish arts online publication Hevria. Schneider’s posek, Talmid of HaGaon Shlomo Zalman Auerbach, t”zl advises all of Am Yisrael that there is a place in Shabbat tefillot where we should have “Yemima bat Avraham Avinu haKadoshah” in mind together with all who died Al Kidush HaShem. It’s the part called “Av HaRachamim” found before Ashrei of Musaf. Schneider has been posting updates to her facebook wall since the senseless tragedy at Ammunition Hill light rail station October 22, 2014, where the first to die was 3 month old baby Chaya Zissel Braun. A look into on Yemima’s background was published in Voices Magazine blog when she was in critical condition at Hadassah hospital October 24. 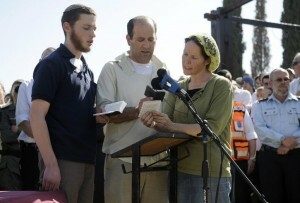 Reports included information for praying, offering charity, or doing other mitzvot for her recovery. The Foreign Ministry of Israel flew in Yemima’s family from Ecuador following the attack. The Jerusalem Mayor and the Ecuadorian Ambassador to Israel were at the funeral, but no state representatives attended. “My daughter died in God’s name. 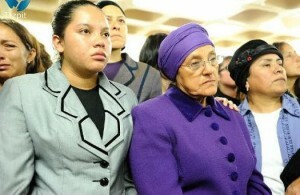 I don’t want her death to be in vain,” said Yemima’s mother Rosa Cecilia Barrera at the funeral. “Her dream was to come to Israel to start her life. I am heartbroken. No one can heal my sorrow. “It pains me that these terrorists are so full of hate and they set out to murder innocent people… She was murdered just because she was Jewish.” In fact, Yemima was murdered on her way to study Torah. Earlier this year, we heard from the mother of a kidnapped boy, when she spoke at the United Nations in defiance of a request from the government of Israel appealing for the safe return of her son and the two other abducted boys. 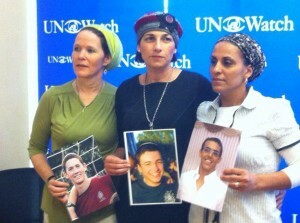 Rachel Frankel, director at the Jewish women’s studies institute Advanced Halakha Program at Matan and Jewish law instructor at Nishmat, continued on as a spokesperson for the missing and then murdered children. Rachel Frankel said kaddish at the funeral for her 16 year old son Naftali Frankel on July 1, 2014. It was the first time most Israelis and Jews on the planet saw and said “Amen” on a blessing spoken by a woman. “Rachelle Fraenkel became a public leader, a national heroine and, just as important, a religious heroine as well, over the 18 days that her son and his friends were missing,” wrote Haaretz reporter Yair Ettinger. Rosa Cecilia Barrera and Rachel Frankel are two of many mothers grieving the loss of their children to violence, terror and war. May these mothers and all the mourners be comforted. Our great matriarch Rachel Imeinu cries, in the Jewish bible, the book of Jeremiah, grieving the exile of her children. And the Creator annuls a decree against the Jewish people in her merit, promising that they will return home. As we read in the book of Samuel during Rosh Hashana, Hashem “remembered” Chanah and blessed her with a child after her heartful pleas. The way that Chanah prophetically prayed at the holy site became the basis for how Jewish people pray the Amidah – sober and standing, with their lips forming their words from the heart. We have a story about Yemima praying Shemona Esrai, and it serves as another model for devotion. Yemima prayed the Amidah so devoutly that she did not notice that a 7.1 Richter earthquake hit, describes Varda Epstein in her blog post after attending Yemima’s funeral. This experience as well as a dream that her mother had, propelled Yemima to go to Israel from Equador, her country of origin. “She would bring her mother and her sister over to Israel and help them follow in her footsteps,” Epstein wrote. Yemima converted to Judaism 5 months ago. Like so many people across the Americas today whose ancestors were forced to convert to Christianity or die, many descendants of Converso Jews have retained some rituals, and Yemima’s mother had inherited the customs of lighting candles Friday nights, and covering mirrors in the home after the death of a family member. 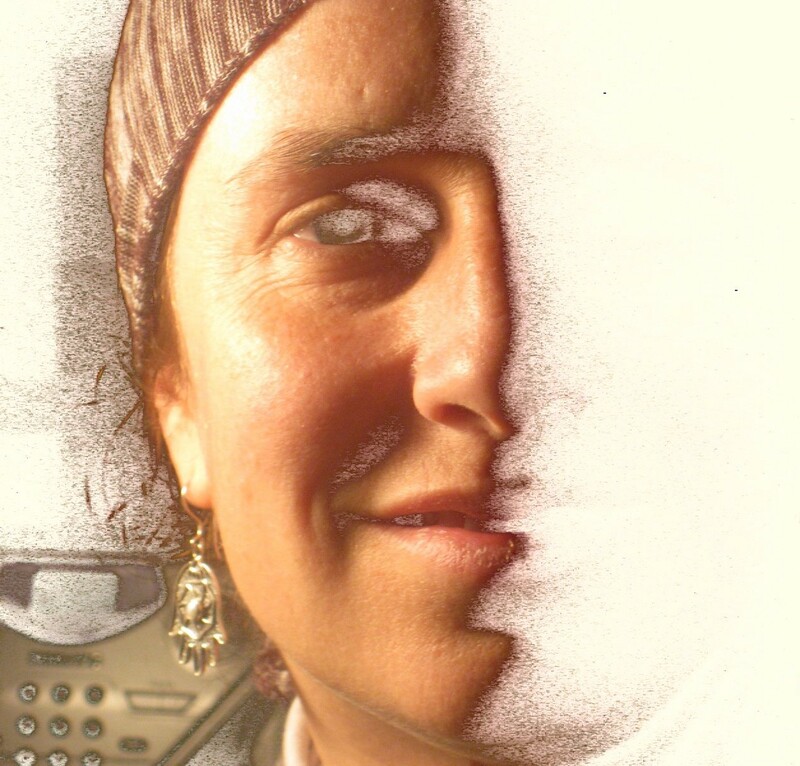 Yemima is not alone in her passion to return to her Jewish spiritual roots, a phenomenon among Conversos from the American Southwest and southward. In Jewish tradition, converts are highly regarded for making the incredibly heroic life transformation. A week after her burial, next Monday night November 3, 2014 is on the Hebrew calendar 11 Cheshvan 5775 the yarzeit of Rachel Imeinu, also referred to as Jewish Mother’s Day. Customarily, Jews around the world honor the anniversary of the Matriarch Rachel’s passing collectively and individually. “Take me to Israel! That’s my country! That’s where I’m going to marry and have children, and that’s where I’m going to die and be buried,” Yemima’s mother heard her exclaim one night while she stayed up late studying Torah at home in Ecuador, according to Sara Yoheved Rigler who wrote about Yemima’s tragic death on Aish HaTorah’s website. Yemima worked hard and travelled far to reach her spiritual status and eventually the sacred site on the Mountain of Olives where she was buried. “My dream is to be buried on the Mount of Olives, because when Moshiach [the Messiah] comes, I will be the first to rise up and be in the Holy Temple. Can you imagine that?” were Yemima’s words, her friend Yael Barros recounted of their walks outside the Old City walls. “A modest, perfectly righteous convert sacrificed her life for her people, in the Holy City,” writes Varda Epstein of Yemima. Yemima and Rachel Imeinu both exemplify the grace of a Jewish woman, and they both died tragically young. “At her funeral, one Rebbe said that Yemima is the modern-day prototype for TODAY’s righteous woman… Just by learning about her life, we as women elevate ourselves spiritually,” Sabrina Schneider posted to her facebook wall. 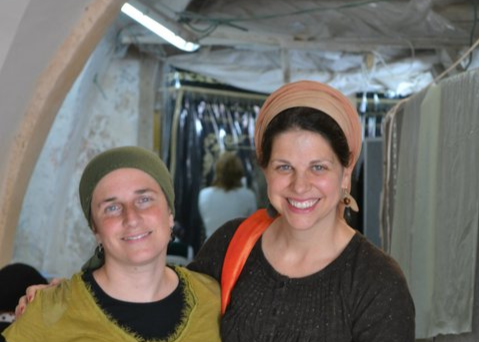 Wendy Kenin (left) and Chaya Kaplan Lester (right) visiting Rachel’s Tomb, Summer 2011. Kever Rachel is the 3rd holiest site to the Jewish People. Yemima travelled far to reach her exalted resting place on the Mountain of Olives, just as Rachel Imeinu travelled far before she was planted in Bet Lechem – the third holiest site to the Jewish people. Yemima worked hard to attain her Jewish life, as Mama Rachel struggled spiritually for years before Hashem blessed her with children. Yemima succumbed to injuries on the second day of the Jewish month Cheshvan. A week after her burial, next Monday night November 3, 2014 is on the Hebrew calendar 11 Cheshvan 5775 the yarzeit of Rachel Imeinu, also referred to as Jewish Mother’s Day. Customarily, Jews around the world honor the anniversary of the Matriarch Rachel’s passing collectively and individually. Thousands visit Rachel’s Tomb, and more gather around the world to learn Torah in her merit. Saying blessings, giving charity, and doing mitzvot are some of the customs that can be performed individually. Yemima’s life demonstrates the spiritual growth and pure aspirations that can be achieved by each person, and should serve to inspire and increase the prayers, devotion, and grace of the Jewish people as we cry and pray for peace. May the memory of the holy be a blessing. Am Yisrael has gained a great soul in shamayim along with our great patriarchs and matriarchs. A tremendous warrior for peace. She is a tzadika amitit, more alive now than ever. B’zchut her mesirut nefesh to give her life al kiddush HaShem all of Am Yisrael along with the entire world should merit to see a geula shleima karov v’yameinu!